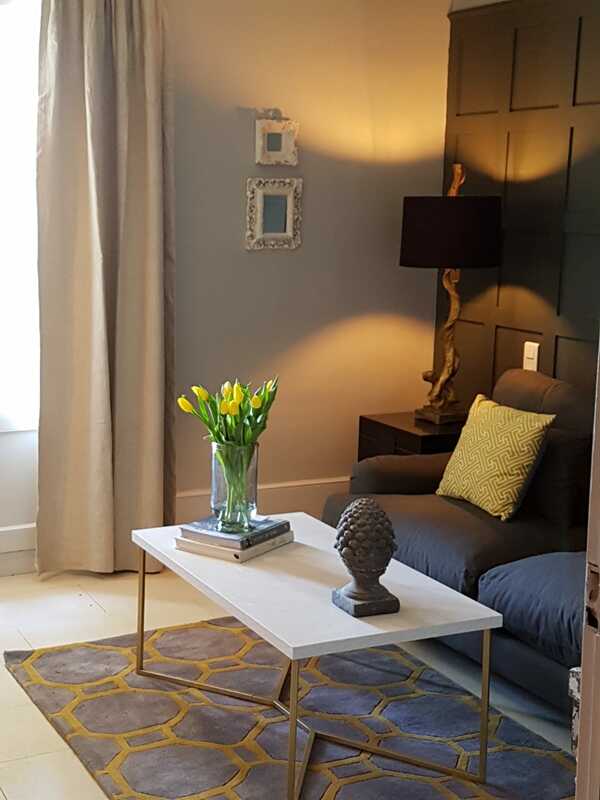 Louis is the most spacious and luxurious room in the house offering a superking double bed and three floor to ceiling French windows opening onto balconies, flooding the room with light. 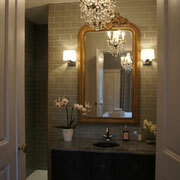 The suite has its own freestanding bath as well as a separate shower and WC. The Louis room is 20m2 and is on the second floor. Lie back in this room's kingsize bed and to your left, via your own private balcony, you have views of the town's château and its gardens. 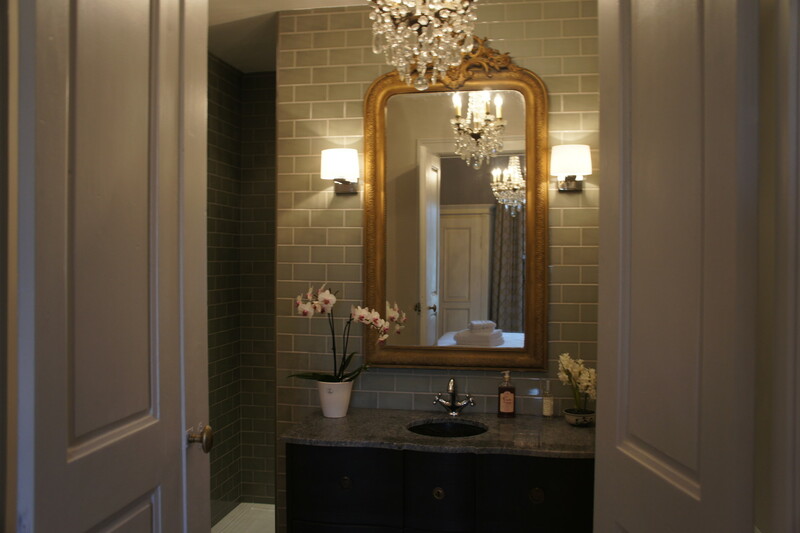 To your right, through a set of double doors, is a private ensuite dressing room lit by an antique chandelier with a large sink, shower and WC. And opposite lies your own private sitting room ideal for an early morning coffee or glass of wine in the evening overlooking the château gardens, The JoJo room is 26m2, and is on the second floor. 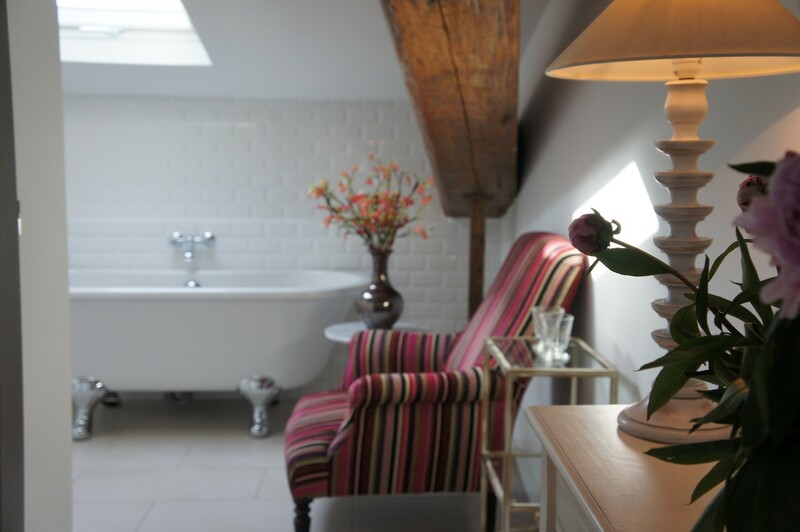 Nestled in the attic, Clara has a kingsize double bed which offers views of the town's castle and gardens. 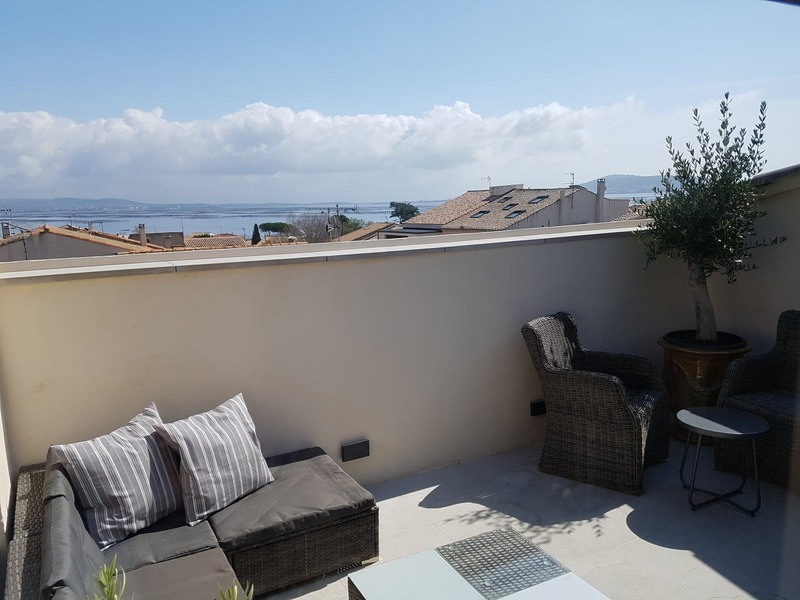 Clara has its own private outdoor terrace with views of the lagoon and double outdoor showers with bath robes. 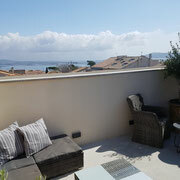 Breakfast can also be served on your private roof terrace at no extra cost. 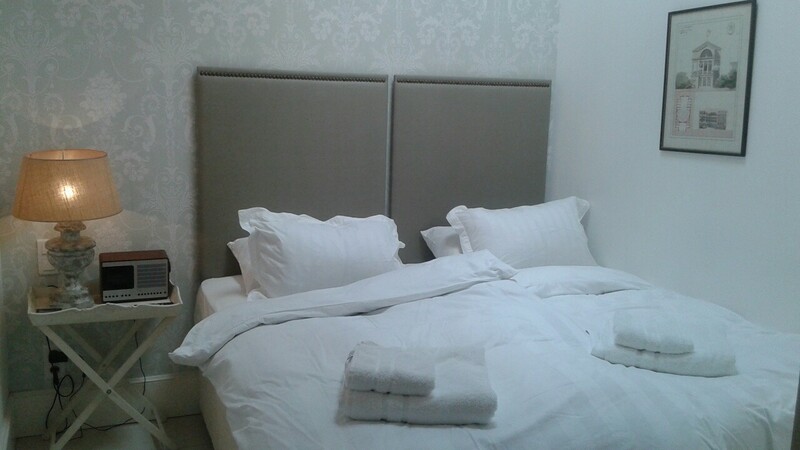 We can add a single occasional bed for a third person at a nightly extra cost of €30. This is a spacious room with plentiful character. 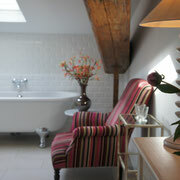 This includes original oak beams which means occasional low head height so it's not recommended for very tall people! It has its own private ensuite shower and WC. The Clara room is 20m2 and is on the third floor. 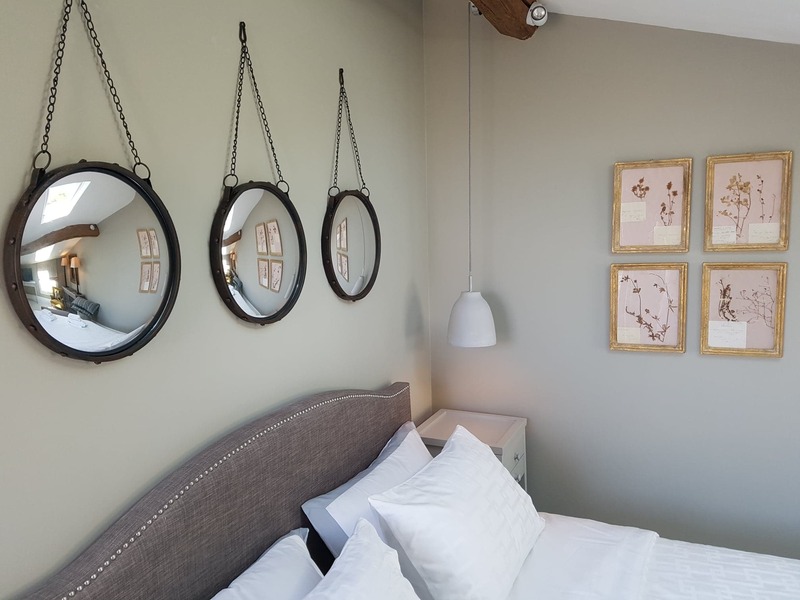 Also nestled in the attic, this room is suitable for both couples and friends having twin beds which can be joined together to form a comfortable kingsize double. 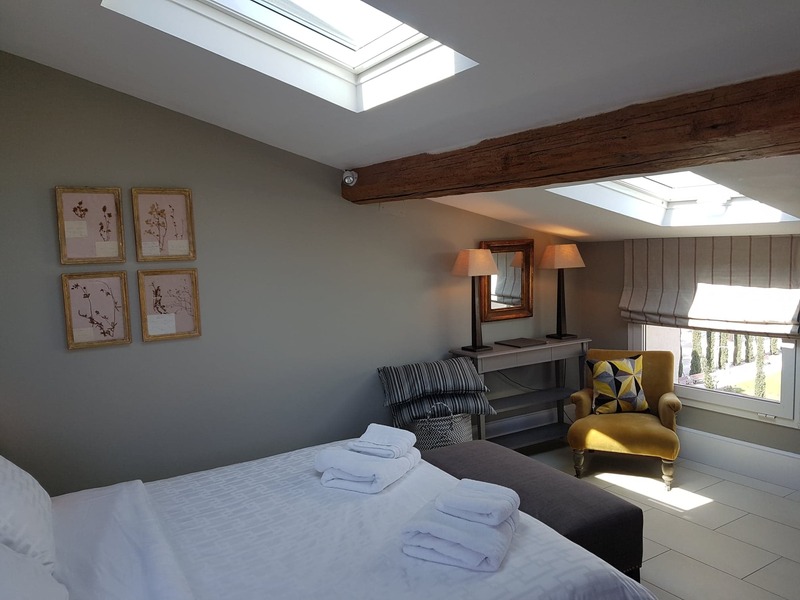 Mimi has very high beamed ceilings in the sleeping area as well as a freestanding bath and separate ensuite shower and WC. 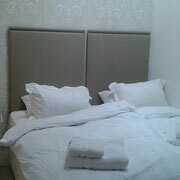 The Mimi room is 14m2 and is on the third floor. 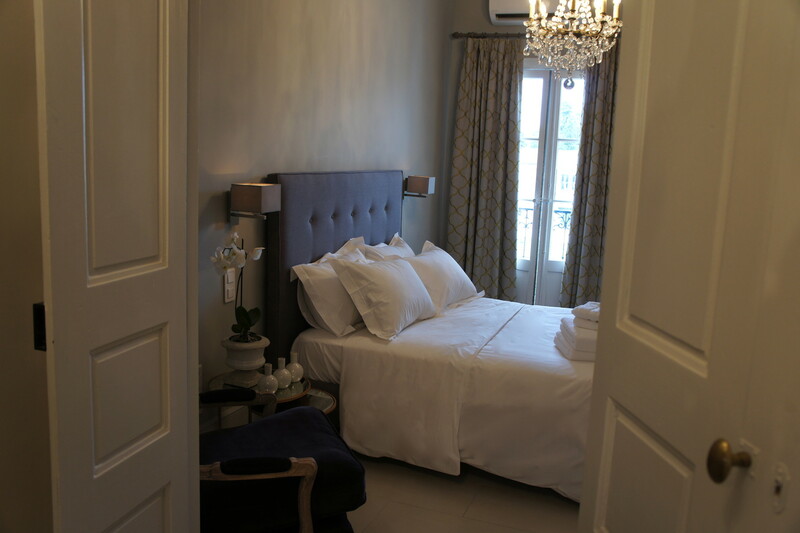 All our rooms have tea and coffee making facilities, air conditioning and heating and black out curtains or blinds. All guest rooms also have TVs with DVD players as well as internet clock radios. We also supply bath and hand towels and baskets with beach towels in every room. The beach is just a five minute stroll away. All of the house, including all guest rooms, have free wifi. 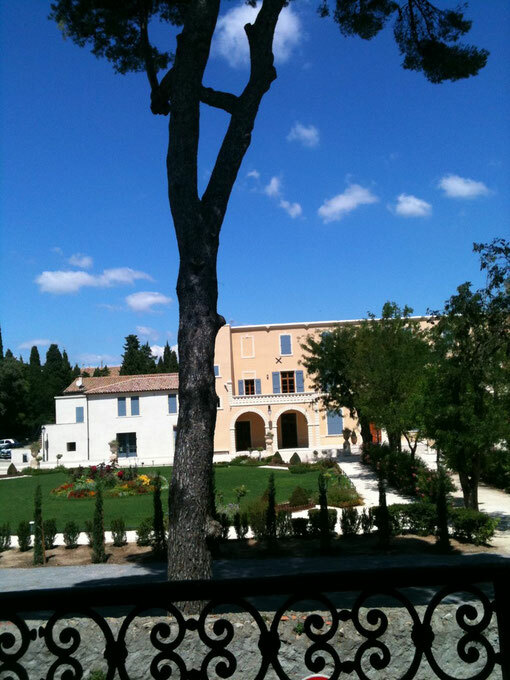 Room rates include continental breakfast, complimentary soft drinks and evening aperitifs. 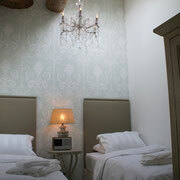 For single occupany, we deduct €20 from the nightly room rate. High season runs from May 1 to September 30. All other bookings, with the exception of Easter and Christmas/New Year, are charged at low season rates. To enquire about renting the whole house, please email rob@mezemaison.com for further details. 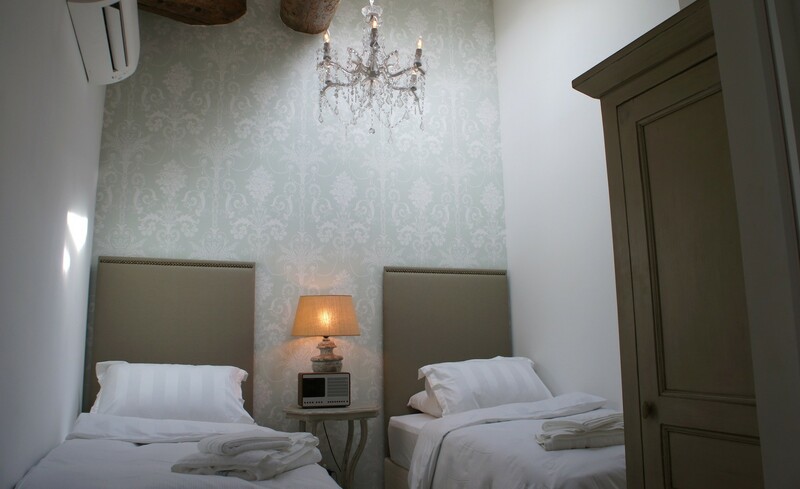 All rooms are non smoking and set up to accommodate a maximum of 2 adults. 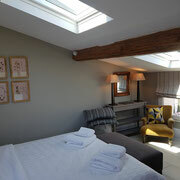 The Clara room can accommodate up to 3 guests with a single occasional bed. We regret that we do not provide cots and are unable to accommodate children under 12 years of age. For weekly bookings, the seventh night is free. 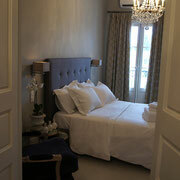 We operate a 2 night minimum stay. Please use the online reservation system to book a room. We ask for a 50% payment upfront which is non refundable in the event of cancellation. The balance is paid at the end of your stay.